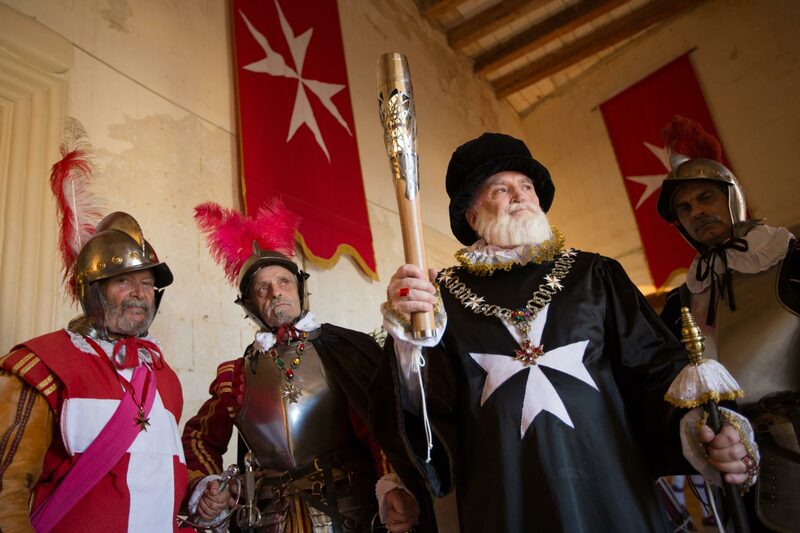 The Queen's Baton welcomed by the Inguardia Knights of St. John Re-enactment group, in Birgu, in Valletta, Malta, Wednesday 7 May 2014. Malta is nation 62 of 70 nations and territories the Queen's Baton will visit. Photograph by Jeremy Sutton-Hibbert, copyright © Glasgow 2014 Ltd, 2014.